There has been much debate on Article 50 TEU. More specifically, there have been thoughtful arguments about who or what has legal authority to trigger Article 50 and begin the Brexit process. Some have said it’s the Government acting under the Royal Prerogative whilst others have said it is for Parliament to start. My own view is that it is to be done pursuant to the Royal Prerogative, and therefore the Government has legal jurisdiction to begin the Article 50 process. However, the point is clear arguable either way. This debate has led to calls for a judicial review of a decision to invoke Article 50 by the Prime Minister (if and when such a decision is made) and anonymous parties are now backing such a challenge. This piece addresses issues regarding such a judicial challenge to a decision by the Executive to start the Brexit process. More specifically, it examines the concerns surrounding the justiciability of any such decision. In the comments on Barber, Hickman, and King’s well argued piece concerns were raised that, even if they are correct and it is for Parliament, not the Executive under the Royal Prerogative, to trigger Article 50 the issue would be non-justiciable and the High Court would likely refuse to hear such a challenge to the Prime Minister’s decision. Therefore, failing a challenge in the CJEU (the prospects of which I make no comment on here) the decision would stand. Traditionally, separation of powers led the courts to generally decline to interfere with matters of policy. Hence, in R (oao Hooper) v SSWP  EWCA Civ 813;  1 WLR 2623 at - Lord Justice Laws stated that “a very considerable margin of discretion must be accorded…. [where] questions of economic and social policy [are] involved”. More specifically, Lord Bingham noted in R (oao Gentle) v Prime Minister  UKHL 20;  1 AC 1356 at  there is “restraint traditionally shown by the courts in ruling on what has been called high policy- peace and war, the making of treaties, the conduct of foreign affairs”. The argument for the Government, in relation to the rejiggering of Article 50, would undoubtedly be that this is a quintessential area where the courts should be slow to tread. It is completely and clearly axiomatic to say that the decision to begin the process of leaving the European Union is one of the most polycentric (socially, politically and economically) decisions a Government can make. Once that decision was made it any interference by the High Court be fraught with difficulties and therefore improper. The Government lawyers would, I am sure, make these arguments at permission stage to try to avert a full hearing on the issue. The argument that the Government would undoubtedly make in the event of a judicial review is, at first blush, relatively strong. It does seem, at least initially, that an Executive decision to leave the European Union is one of the utmost “high policy” and, therefore, it would be wrong for the High Court to intervene. I think, however, that this argument, whilst initially convincing, is perhaps too simplistic to survive rigorous testing (and therefore survive a sufficiently robust Justice in the High Court). The claimant in such a judicial review would possibly be able to make the following argument to alleviate (at least temporarily) any justiciability point. The concerns relating to justiciability, which mainly revolve around the constitutional status and institutional capability of the High Court, do not apply in a case where you are simply seeking to determine the legal basis of an Executive act. Generally, arguments around justiciability focus on the impropriety of substituting the Government’s view with the court’s on a substantive review (that is, the normal Wednesbury standard is weakened to such an extent that it barely applies anymore). However, in such a judicial review the claimants would, hopefully, not be challenging the decision (at least initially) on its merits or process. Instead, they would focus on jurisdiction in the first place. It is clear from Attorney General v De Keyser’s Royal Hotel Ltd.  AC 508 that the courts have the ability to determine whether a Royal Prerogative power exists and, if it does, its scope and the extent to which it has been superseded by statute (as both Tucker and Barber, Hickman, and King argue it has been for present purposes.). Likewise, in the GCHQ case Lord Fraser stated “the courts will inquire into whether a particular prerogative power exists or not and, if it does exist, into its extent.”. This would, presumably, be the first line of argument in any prospective judicial review: the initial question for the court would not be whether the Prime Minister used his or her power substantively correctly, or followed a lawful process, but rather whether he or she had power to act at all. The applicants would not be asking the court to rule on the decision or its process (where justiciability bites) but rather on the legal basis of that (purported) decision, which is inherently within the court’s role in our constitution. If, as others have argued, the European Communities Act 1972 displaces the Royal Prerogative power in relation to the EU and Article 50 then the High Court could potentially rule on this without any justiciability issues. But what if the court decided, in line with Elliott’s and my own view, that the ECA did not supersede the Royal Prerogative in this area? This is, I suspect, where justiciability concerns would bite. Whilst in GCHQ the majority of the House of Lords said it was no longer appropriate to refuse to hear a case because the legal basis of a decision was the prerogative, they were still of the opinion that the subject matter of any decision may render it non-justiciable. Lord Roskill, somewhat tentatively, listed examples of areas where the courts would not lightly tread such as “such as those relating to the making of treaties, the defence of the realm, the prerogative of mercy, the grant of honours, the dissolution of Parliament and the appointment of Ministers”. Whilst the courts have somewhat loosened this staunch and binary approach they will still question “whether the nature and subject matter of the decision is amenable to the judicial process” (see Watkins LJ in R v. SSHD Ex p. Bentley  QB 394, 453). It is still the case, I argue, that acts at “the top of the scale of executive functions under the prerogative” involving “high policy” (see R v Secretary of State for Foreign and Commonwealth Affairs Ex p. Everett  QB 811) are generally not susceptible to judicial review unless something has gone catastrophically wrong in the decision making process (Watkins LJ makes a not dissimilar point in Bentley at p 453). Short of any Prime Minister, in starting the Article 50 process, acting completely irrationally (within the furthest reaches of Wednesbury) I find it difficult to envisage a court quashing his or her decision. The debate as to whether the Prime Minister or the legislature has legal authority to decide when to start the Article 50 process remains unresolved. This piece does not take sides on that though, as stated above, my own view is that, pursuant to the Royal Prerogative, it is for the Prime Minister to decide under the current settlement. The aim of this piece is simply to look at the prospects of a judicial review of a decision by the Prime Minister to trigger Article 50. Despite some commentators’ reservations, I believe justiciability, at least at the initial stage, would not prove a barrier to such a judicial review. All the applicants in such a case would be doing is asking the court to determine whether the Prime Minister has such a power, not whether he or she exercised it fairly or was substantively correct. If the High Court decides for the prospective applicants, and says that the Prime Minister did not have the power to act, then, legally, the case is over (I leave aside whether the High Court, pursuant to its powers of discretionary relief, would quash an Article 50 notification after it has been received by the European Council). However, if the High Court decides that the ECA does not preclude the Prime Minister, under the Royal Prerogative, from starting the Article 50 process then justiciability concerns would come to the fore. It is, in my opinion, nearly impossible to envisage a situation in which the High Court decides that the Prime Minister had the power to trigger Article 50 but holds, on either procedural or substantive grounds, he or she acted illegally in doing so. 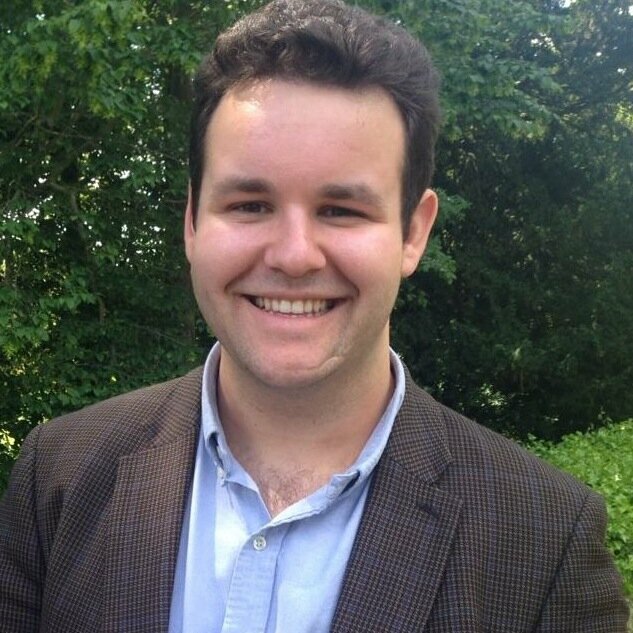 Thomas Fairclough, AHRC PhD Candidate at Gonville and Caius College, Cambridge and Teaching Fellow in Public Law and Jurisprudence at University College London. I would like to Mark Elliott for his comments on this piece. Any mistakes are my own. The point is that a PM invoking Article 50 is likely acting irrationally. We know a lot about Groupthink (qv Janis and others) and how it leads to deficient decision making (e.g. Bay of Pigs, Cuban missile crisis). Groupthink appears to be at work here. For instance, calls that the next PM be a bexiteer, dismissing the likelihood that the referendum results are not binding, and the rush to bypass the referendum’s advisory nature to the conclusion that it is in some respect binding (this is the fact that the PM, prehaps acting illegally(?) said when he resigned that the people’s decision must be respected, but as any decision analysis will show, the result of the vote isn’t a decision until it is given force. Irrationality is characteristic more generally of situations when someone does not change their mind when presented with evidence to the contrary. Owen, in his book “In Sickness and In Power” deals with amongst other factors, hubris, defined as the inability of leaders to change their mind. The book is notable for the analysis of Blair/Bush in this respect and 6 July’s release of the Chilcot report will no doubt help clarify the impact of hubris. No politician appears able to challenge the possibility that the referendum result could be a mistake (for instance that voters were misled, or themselves irrational when presented with evidence). It would be irrational for a PM to act under circumstances where there is uncertainty about the consequences of the decision (we broadly call this evidence-based policy making), or where the referendum itself may suffer from technical deficiencies (e.g. randomness), or where there is evidence of overarching psychological forces constraining rational judgement. But would it be so irrational that no authority acting in good faith could arrive at the decision to invoke it? “Irrationality” for the purposes of public law has a very loaded history behind it, rooted in the idea that it’s not normally the role of judicial review to assess the merits of a decision, only its legality. In particular if it is decided that a royal prerogative is involved a Court will attach a very high bar to trying to argue that an exercise of that prerogative is irrational. I’ll leave it to more learned people than me to go into detail on this if they wish (in fact, the article already mentions the most well known cases on this topic anyway). I’m just noting that you should be very careful about assuming a decision of any public public body will be seen as irrational by a court. Fair point. The Chilcot enquiry can be seen as a search for the rational underpinnings of decisions make about Iraq. The point made in the report about decisions being based on evidence that lacked the robustness to underpin the certainty of the decisions being made is an assessment of rationality. The parallel today is whether the evidence (collapsing country in the words of the Dutch PM Rutte) supports the decision that Parliament has to make about the EU. I suspect in a few years, there will be an enquiry looking at what went on in 2016, and a conclusion will be drawn that the decision lacked the requisite certainty. Indeed, things are actually becoming quite certain that e.g. the UK will not have access to the single market without free movement, and perhaps more important, to get that access will cost a lot more than the UK now pays (and there will be no rebate). Of course as the country empties and people make rational choices, immigration will cease to be an issue. Dani Rodrik [The Globalisation Paradox, 2012 and http://rodrik.typepad.com/dani_rodriks_weblog/2016/06/brexit-and-the-globalization-trilemma.html%5D says you can have only two of these three: national sovereignty, hyper-globalisation and democracy. What choice is the referendum implicate? What choice does Parliament have? What would be a rational choice? The point not entered into here is what would happen if a group of businessmen seek an Act of Parliament before Art 50 can be triggered. If such a case brought would be heard at all by a court, and the court were to express its lack of interest in involving itself in matters of high policy, it would be mischevious but entirely legitimate for the litigants to invoke Article 267 and have the CJEU take as much time as it likes over hearing a question clarifying any point pertinent to the application of the exit process from the EU. For as long as the 1972 legislation is unrepealed, much mischeif can legitimately be caused in the courts which are ALL duty bound to refer to CJEU any and all matters which are questioned as to their legitimate application in the UK. It remains to be seen whether any bold QC will take this route. The entire premise is false anyway, because all Conservative MPs are now (at least as of Monday, June 27th) obliged under a three-line-whip to vote for anything which would eventually lead to a Brexit in the House … Brexit is not abortion, and it is not subject to a free vote based upon conscience. A few Conservative MPs might decide to rebel (but I can’t think of a single one, because almost all of the Tory Remainers have now rallied behind Theresa May, and she is probably more hardline on the manner of Brexit than even Andrea Leadsom or even Michael Gove), but I don’t think that Westminster party-politics are strictly-speaking within the scope of this blog. Some very bizarre comments here. I have never actually properly read law in a University, so all I would say is that a court in England and Wales is, I think, generally very reluctant to accept an application for a judicial review against the Government involving any the use or any proposed use of the royal prerogative of any kind. In any case, the barristers acting for the Treasury solicitors would probably throw everything at it in order to have the case thrown out. No solicitor or barrister would possibly be able to take on such a case, potentially costing millions if not tens of millions of pounds, pro bono, and I think we can safely say that legal aid is probably also unavailable. This entry was posted on July 6, 2016 by Constitutional Law Group in Europe, European Union, Judicial review, UK government, UK Parliament and tagged Article 50 TEU, Brexit, justiciability, prerogative power, UK EU Referendum.